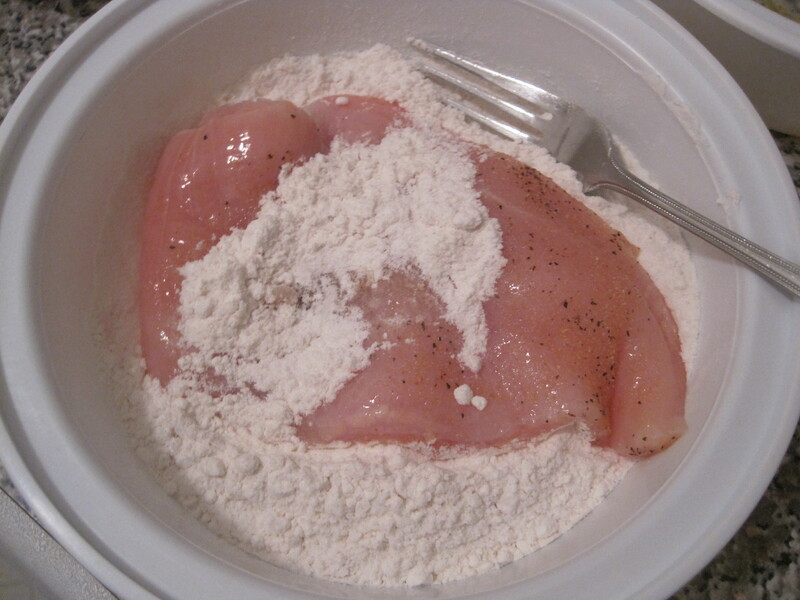 Chicken cutlets were a staple growing up in my household. Perfect with a bowl of pasta, a salad or even for sandwiches at school the next day. The cutlets my dad made were always juicy, flavorful and crispy on the outside. 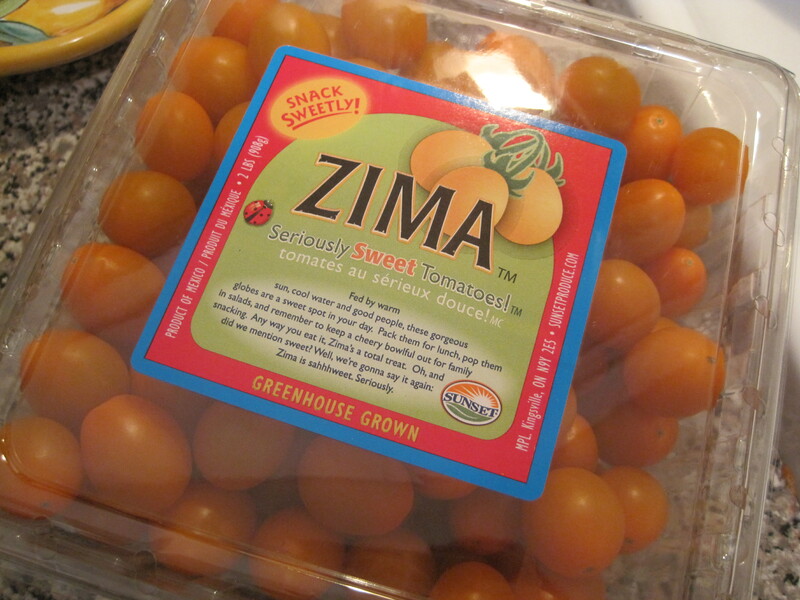 Everyone has their way of doing it – but with this version I throw shredded parmesan into the breadcrumbs, kicking the flavor up a notch and pair the cutlets with a colorful tomato and mozzarella salad using my new obsession Zima sweet tomatoes! *I use Progresso brand breadcrumbs. I’ve used others and feel they have the most flavor. *I usually take (2) large boneless chicken breasts and filet them to make the four. * Best way to do this is to roll up the leaves like a cigarette and then take the knife to the leaves so when cut you create strips of basil. *Make this first so you can let it sit in the fridge to marinade and get cold. It’s VERY simple! 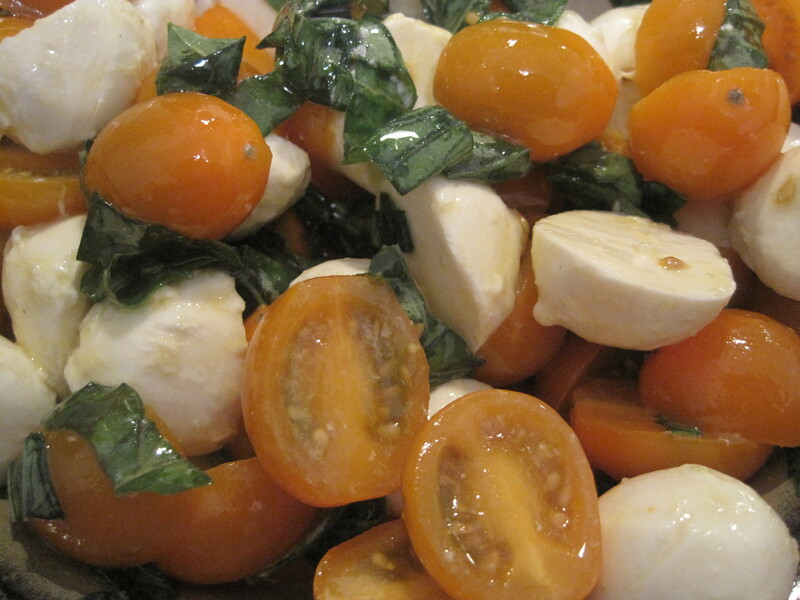 – Combine the tomatoes, the mozzarella and the basil in a bowl. – Drizzle (2) tablespoons of olive oil over the mix along with a couple pinches of salt and toss. – Place in fridge till ready to plate the dish. 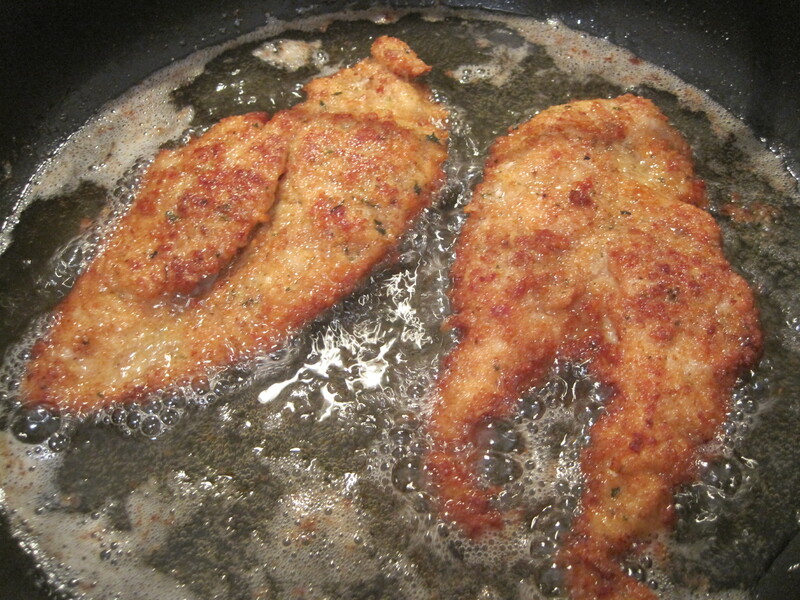 – Have your frying oil heating up in a wide shallow frying pan while you’re prepping the cutlets. – Put on medium heat you do not want the oil to splash out on the stove or you when you put the first cutlet in. * You want the cutlets to fry up not too quickly where the coating is burnt and the inside is not yet cooked – you want them cooked through and golden brown. – You can test the heat when ready by throwing a very small bit of bread crumb into the pan, if you see it sizzle up quickly the oil is ready. – Finally be sure near the pan you have a plate with paper towels to soak up the extra oil when you take the cutlets out of the frying pan. * Keep the plate with the paper towels at a safe distance from the flame! 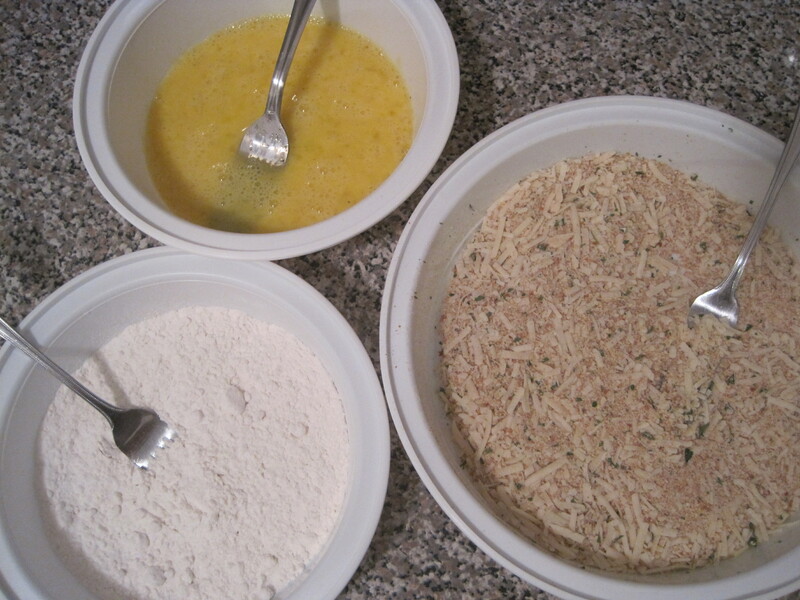 – First prepare your three main coatings for the cutlets. – In one bowl place the flour. – In another bowl place two beaten eggs with salt and pepper. 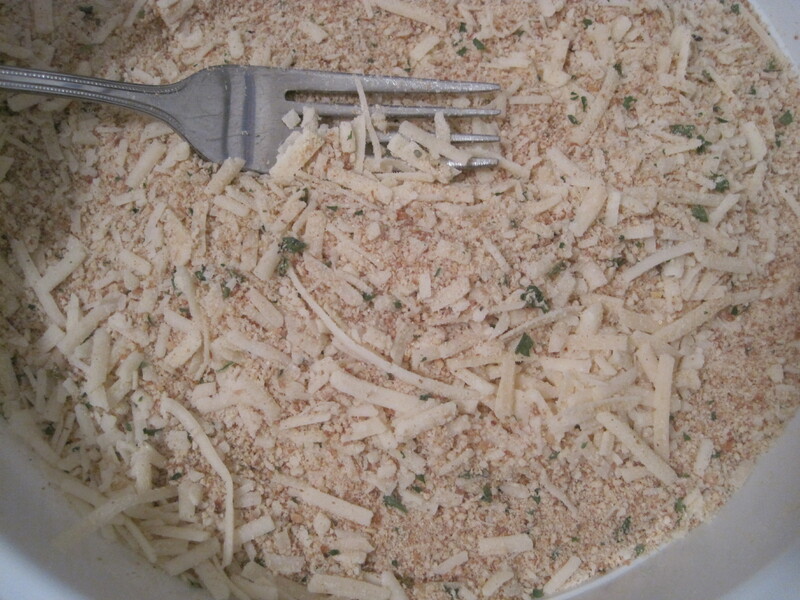 – In the final dish (use a wide shallow dish) place the Italian bread crumbs but mix in a cup of the parmesan and sprinkle in garlic powder too. – Make sure the cutlets are seasoned with salt, pepper and garlic powder. 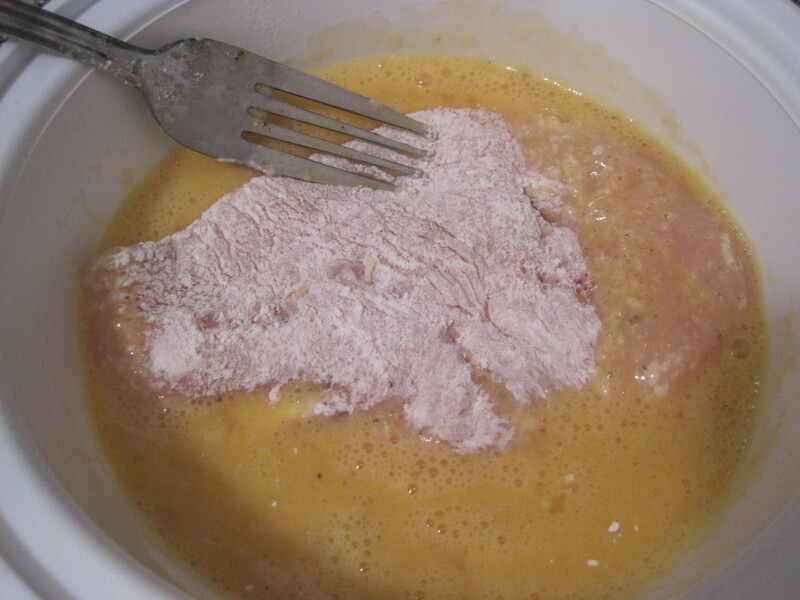 – Take one cutlet and cover in flour, shake off excess and move onto the egg bowl. 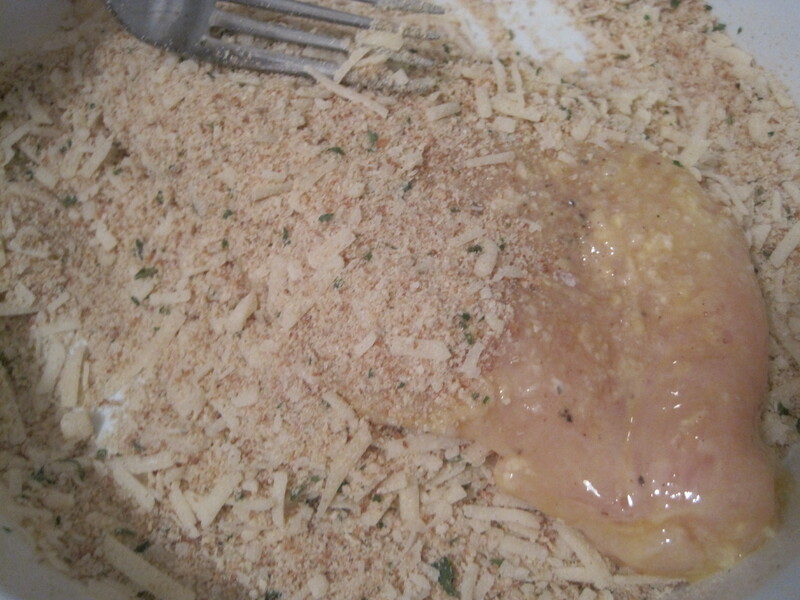 – Cover the cutlet now in egg and then let excess drip off before placing in bread crumbs. – When placing the cutlet in bread crumb mix throw mix on top of the exposed side before pressing cutlet down to assure even and full coating. * You may want to turn cutlet over a couple of times in the mix and press down each time to make sure again that everything is coated. – Move cutlet to a plate and continue on till all cutlets are breaded. -Be sure to test the oil as said before above in “Directions for Prepping the Frying Area”. -Reminder as also said above you want to make sure the cutlets are cooked through and golden brown. 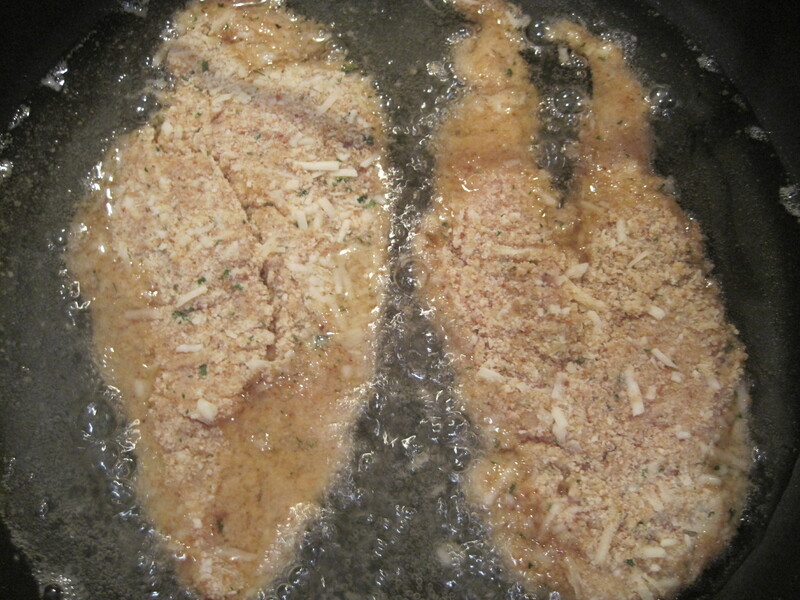 *Hint you shouldnt fry more than two cutlets at a time and keep them moving in the oil. Turn them over periodically too. – Once cooked through place on plate off to the side to let cool and so oil is soaked up by paper towels. 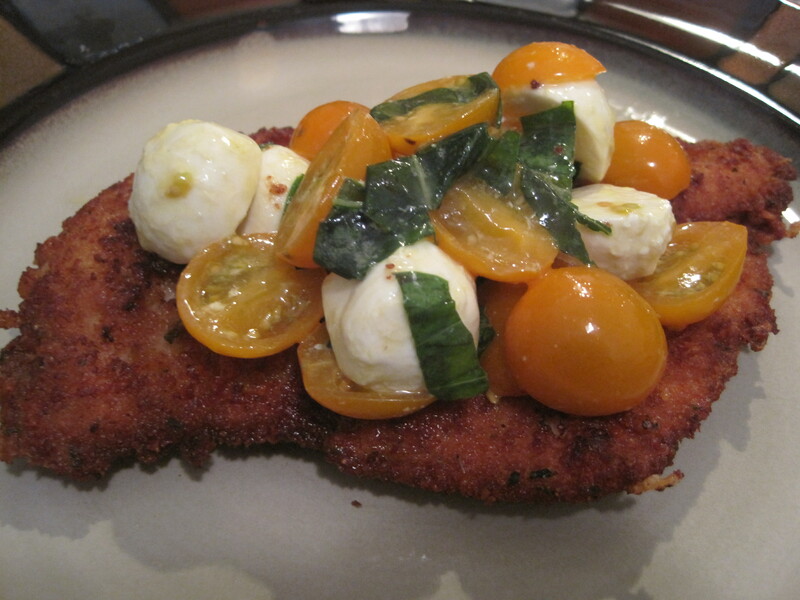 -To plate when finished frying place cutlet on serving dish and top with the tomato salad mix. 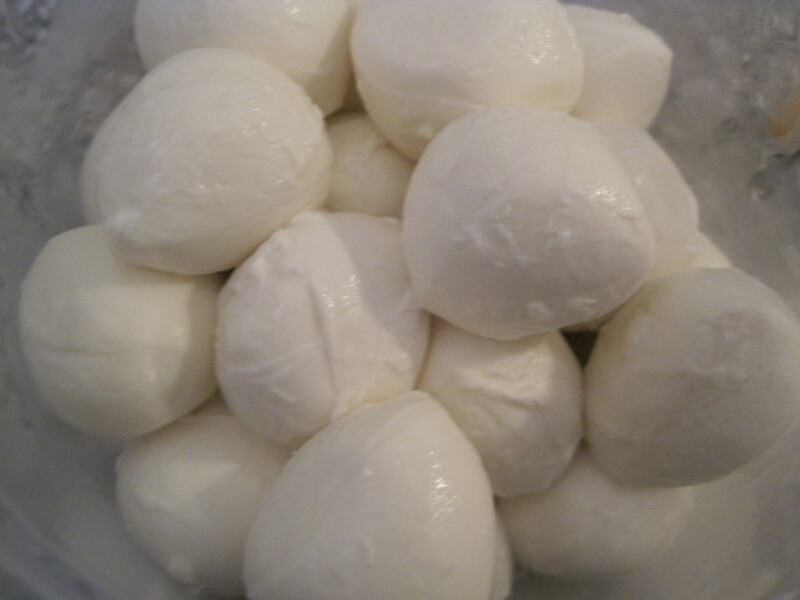 *Feel free to swap out the mozzarella balls for other colored tomatoes and instead use balsamic vinegar versus the olive oil. *You can always make more than four cutlets and top a salad for lunch the next day or as mentioned before chicken cutlets make great sandwich fillers! *Also another great idea if you check out my past post “Fancy Finger Foods” you can cube up the cutlets and use them in lieu of the salami I had for the mozzarella and roasted pepper skewers.